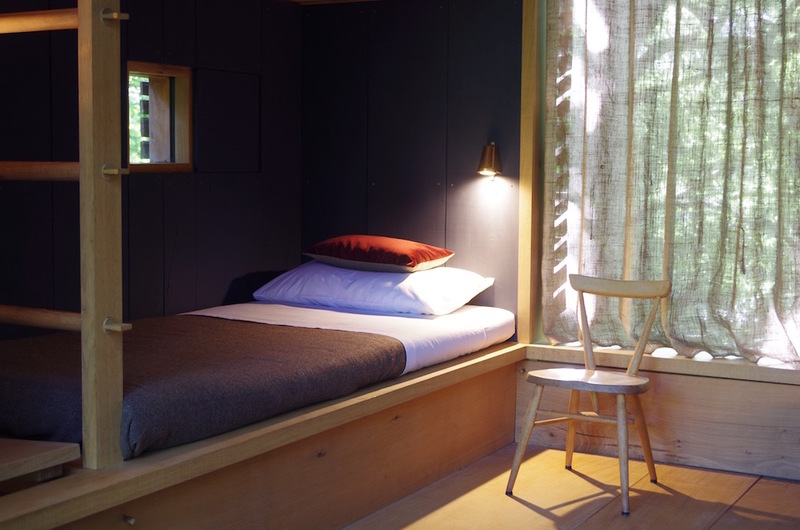 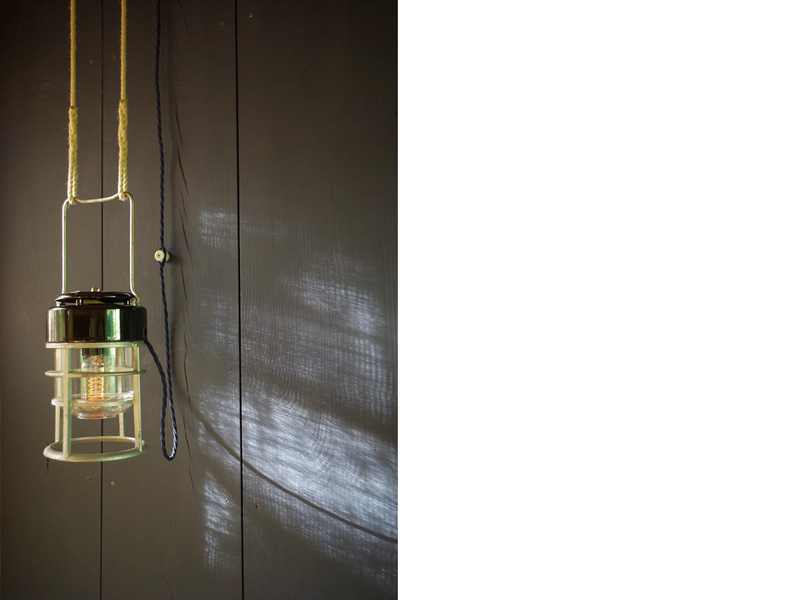 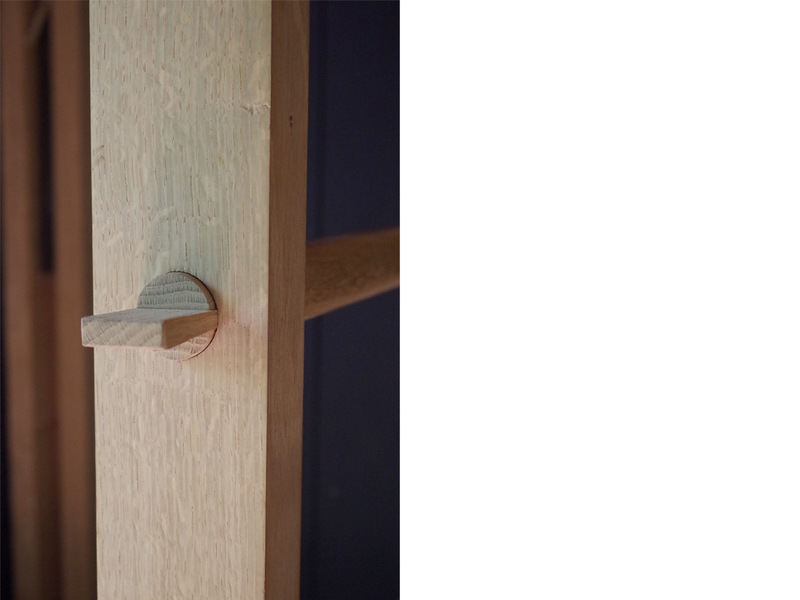 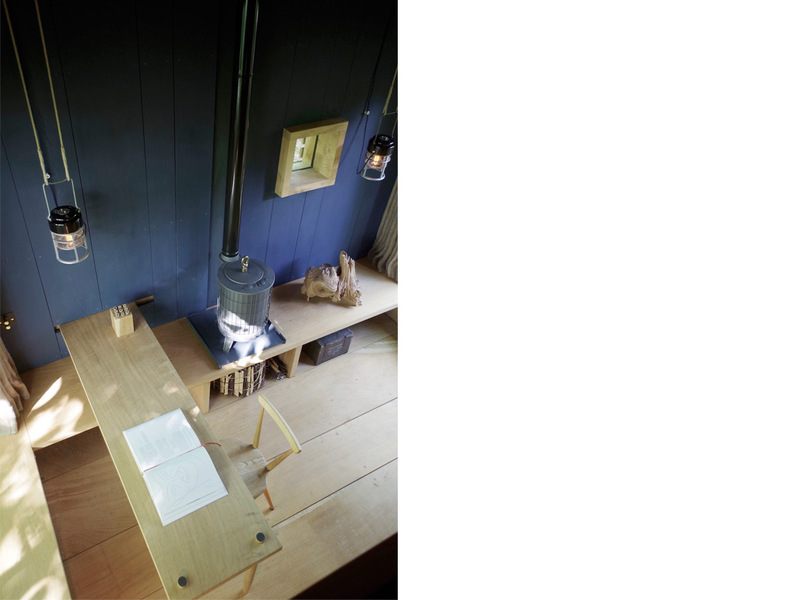 Based on the same philosophy for sourcing of materials and quality of workmanship as my furniture pieces the cabins are constructed of timber sourced from English woodland and incorporate the textures and finishes of traditional woodland craft. 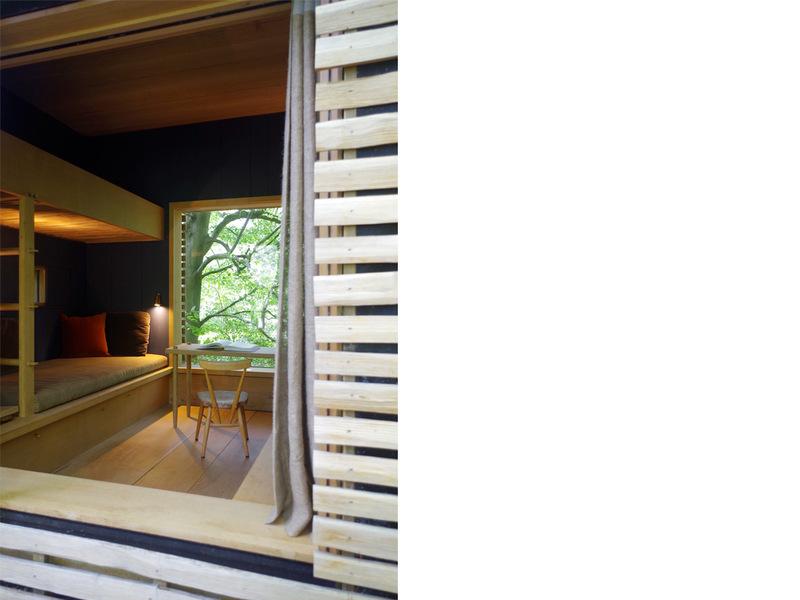 They are built and fitted out to commission based around a sustainable, highly insulated timber shell, standing on removable foundations which have a very low impact on the site. 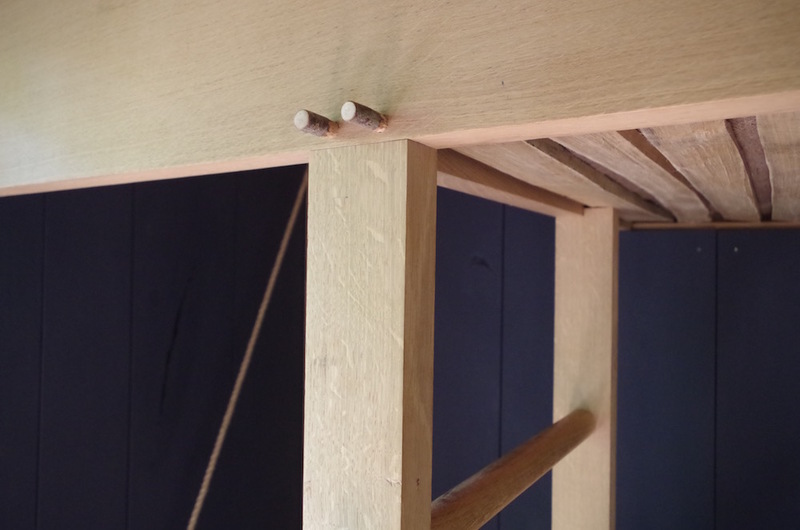 All component parts are prefabricated for assembly on site by hand. 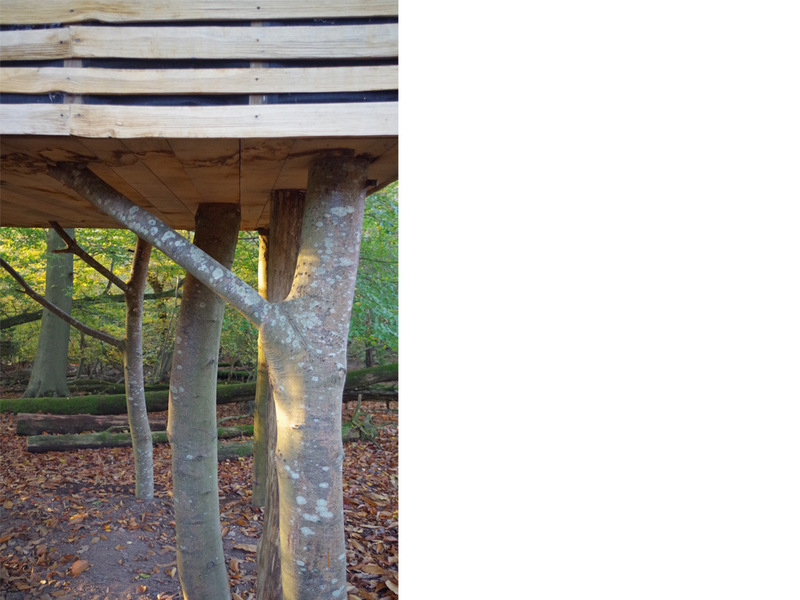 Many woodlands, including the one in which this treehouse is built, were traditionally managed as ‘coppice and standard’ wherein selected trees were grown to maturity for use as timber and others were coppiced to provide wood for a range of underwoodsman crafts such as cleaved lath, woven panels and basket making. 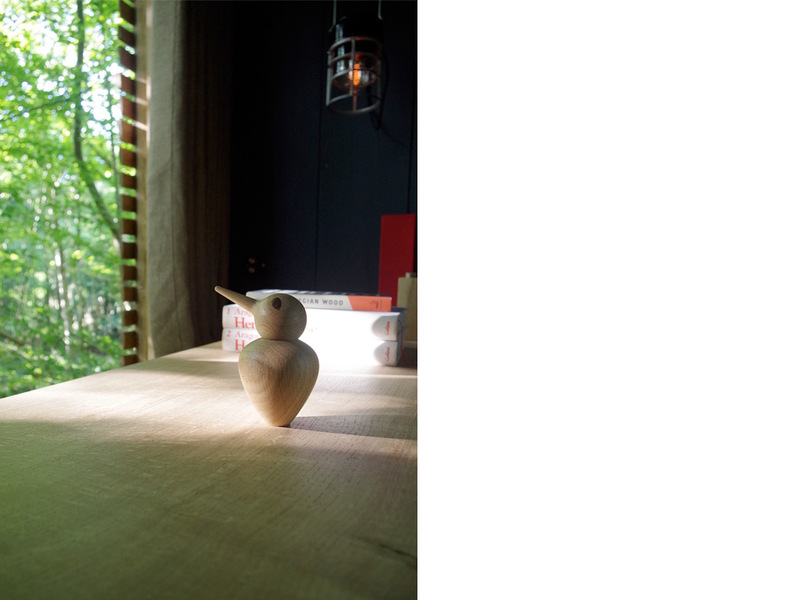 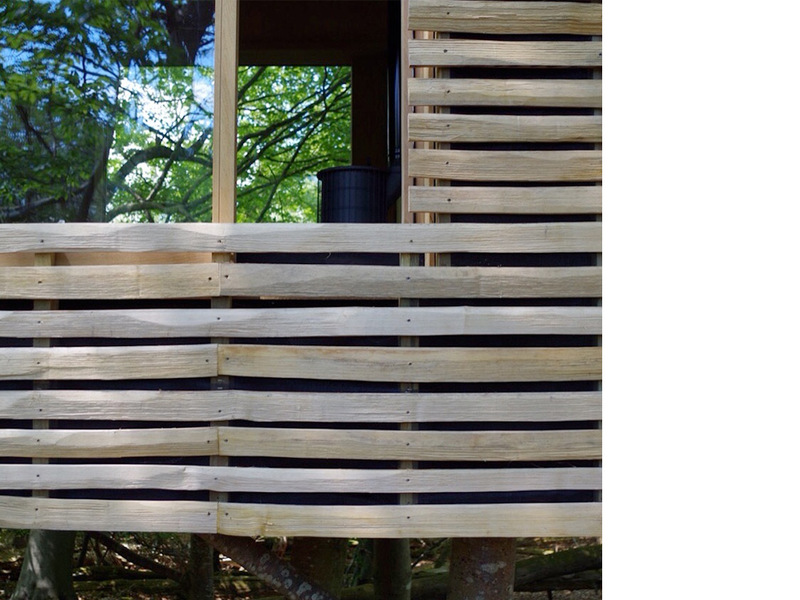 This traditional use of timber has inspired the design and making of the treehouse. 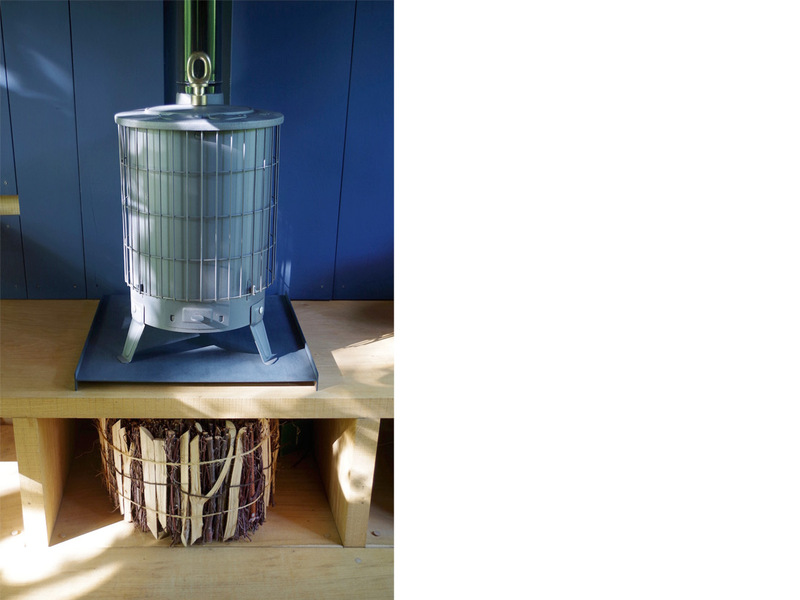 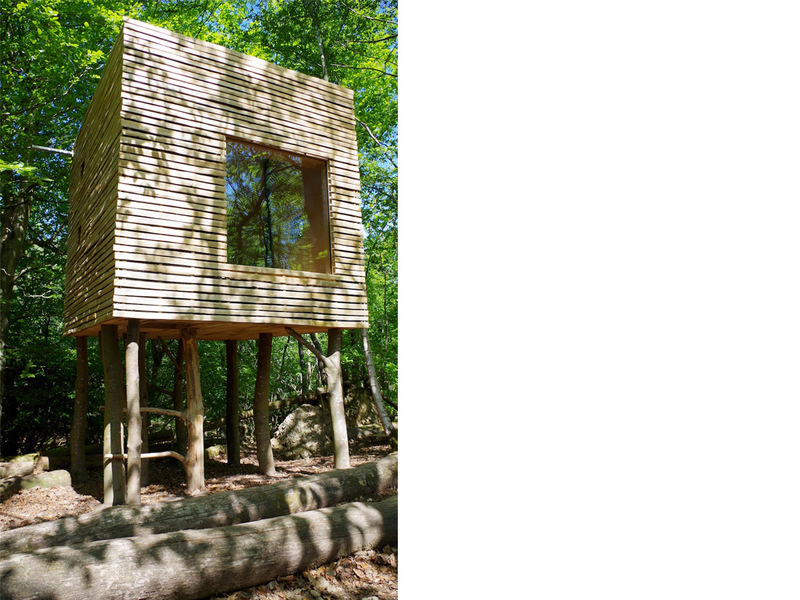 Built as a 3m cube it stands on its own coppice of Sweet Chestnut trunks cut from the surrounding woods and is clad in textured, cleaved Sweet Chestnut. 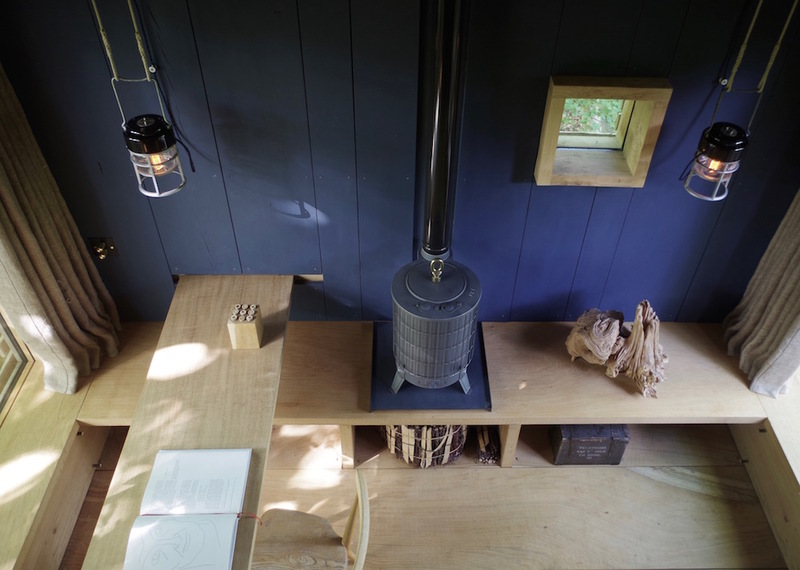 The shell is constructed from lightweight super insulated panels and is fitted out with wide board English Oak and Scots Pine, again sourced from the surrounding woodland. 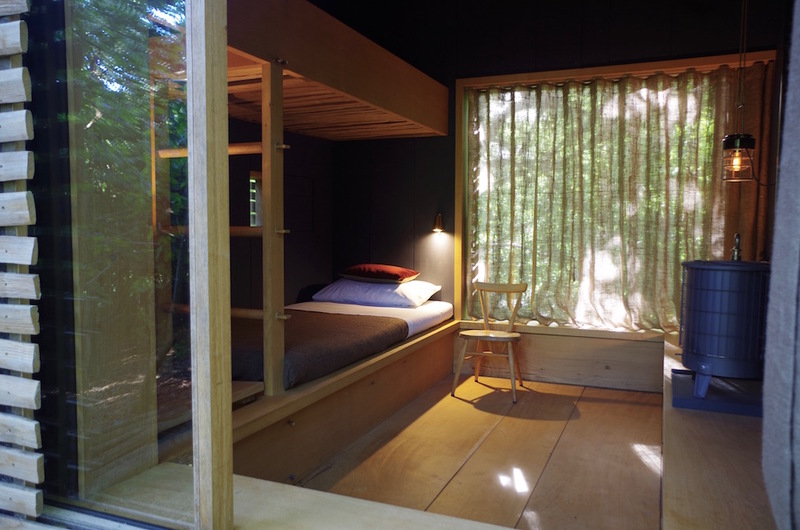 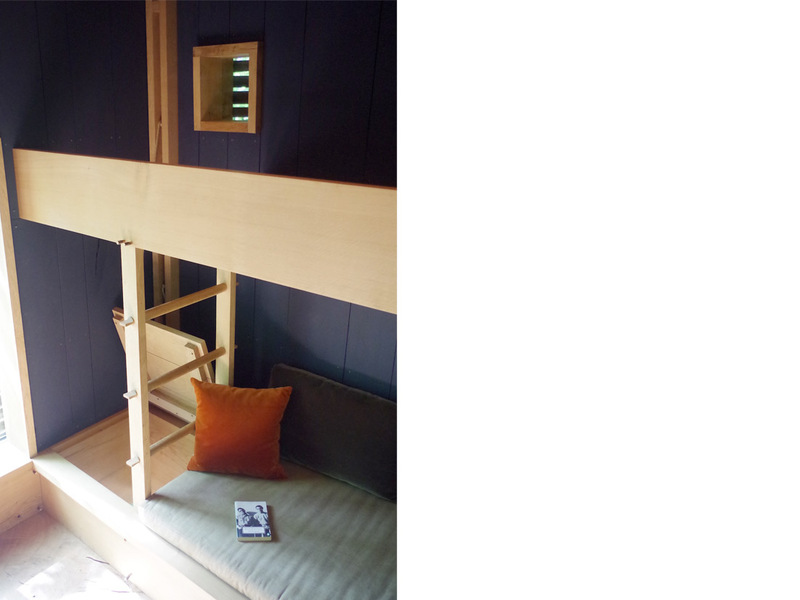 The example in the photographs has a built in sofa / bunk beds, bench seating and a wood burning stove.There is also a fold away desk / table and fold away bed making it suitable for use as a holiday cabin sleeping up to 4, a den, a study or ancillary accommodation at the end of the garden. 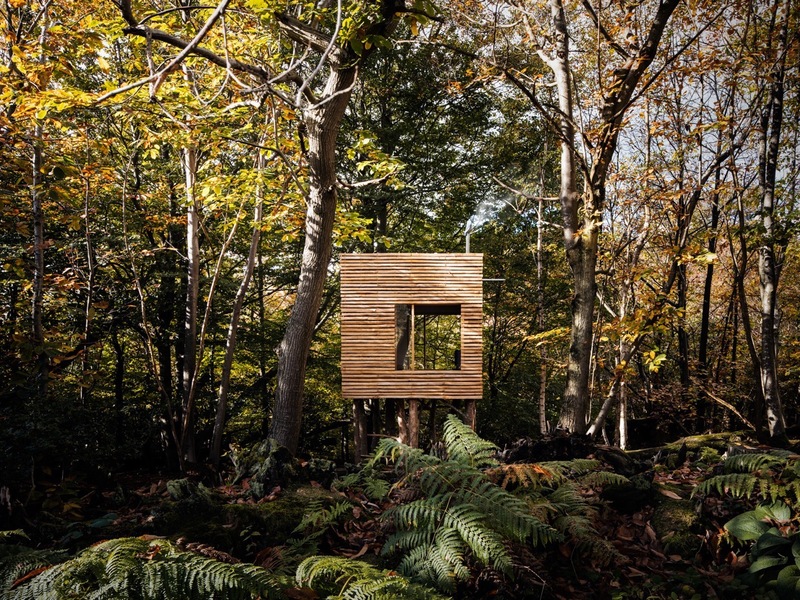 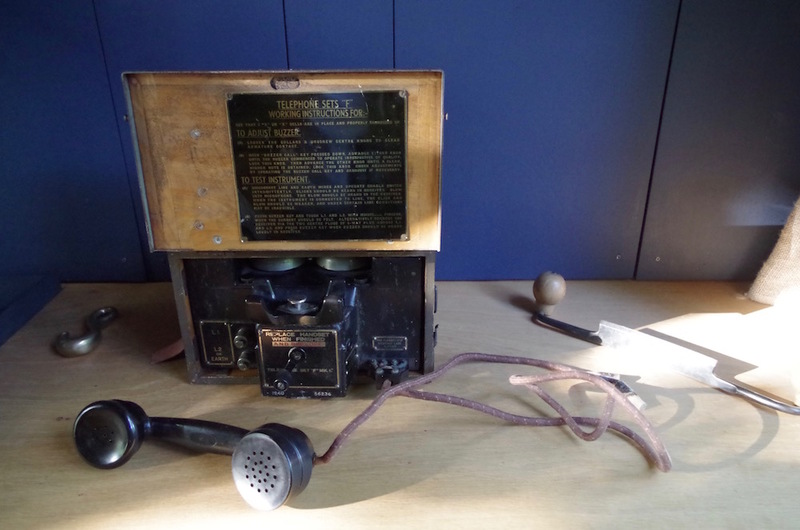 Additional elements such as a camera obscura to project images of the trees onto the walls and a WW2 field telephone for contact with the main house have been added for fun. 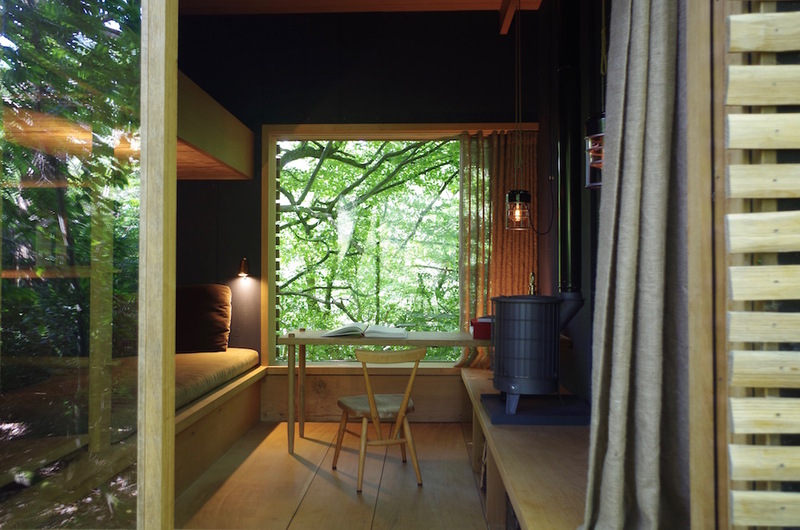 The plan layout and window positions suit the location and views from the woodland location but these, the size of the cabin, accommodation, layout and fitting out can all be made to suit individual requirements. 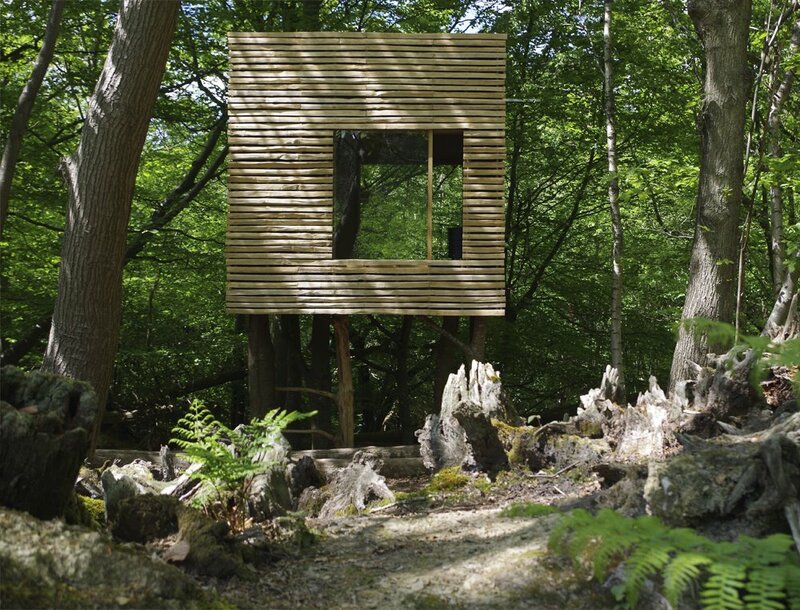 It could also be built as a conventional cabin standing on the ground and, in certain circumstances, can be built as ‘Permitted Development’ without need for Planning Permission.